"You will often discover images of the petrified form of Leviathan partly merged in grass, which on a windy day breaks against them in a surf of green surges". 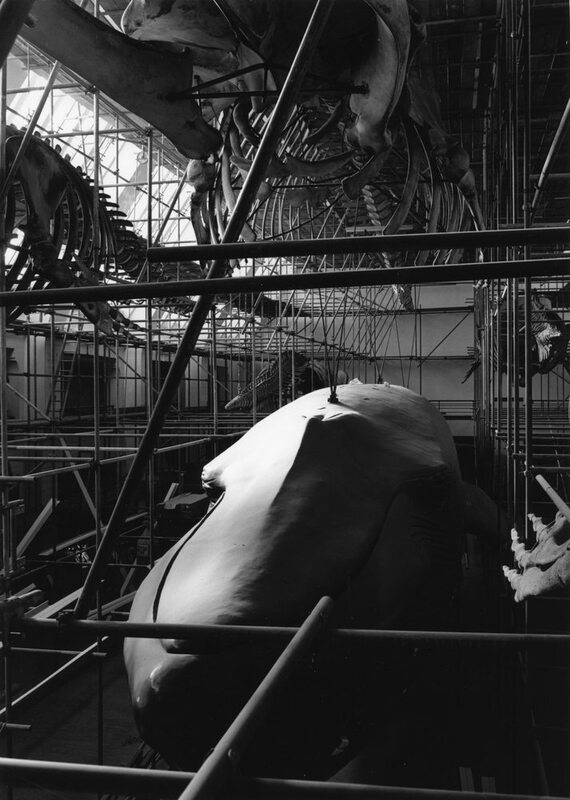 The images in Homage to Melville are of two kinds: skeletons and casts of whales in the great hall of London's Museum of Natural History, and centennial oaks in the depths of England's oldest surviving hardwood forest. 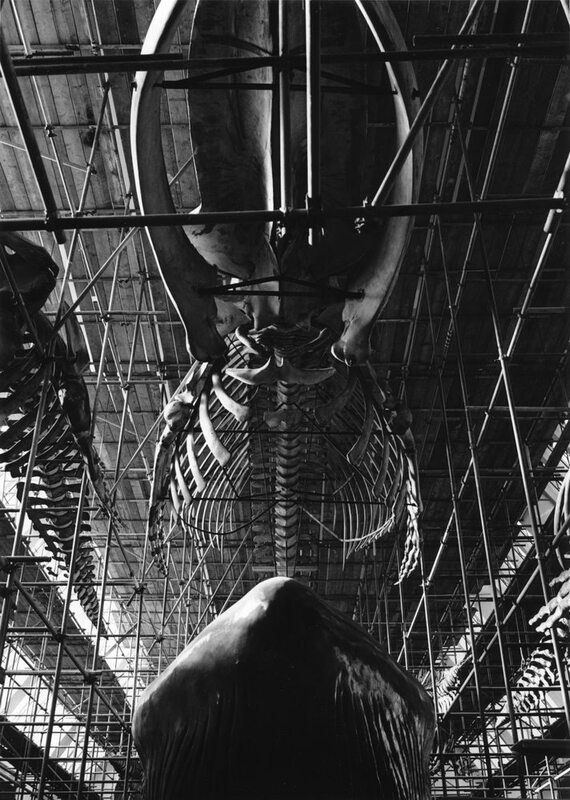 While the resonance between images elaborates on the parallels between sea and forest suggested by Melville, the sequence is also a journey between two vast spaces inhabited by gigantic natural forms, and a reflection on their stillness and silence. 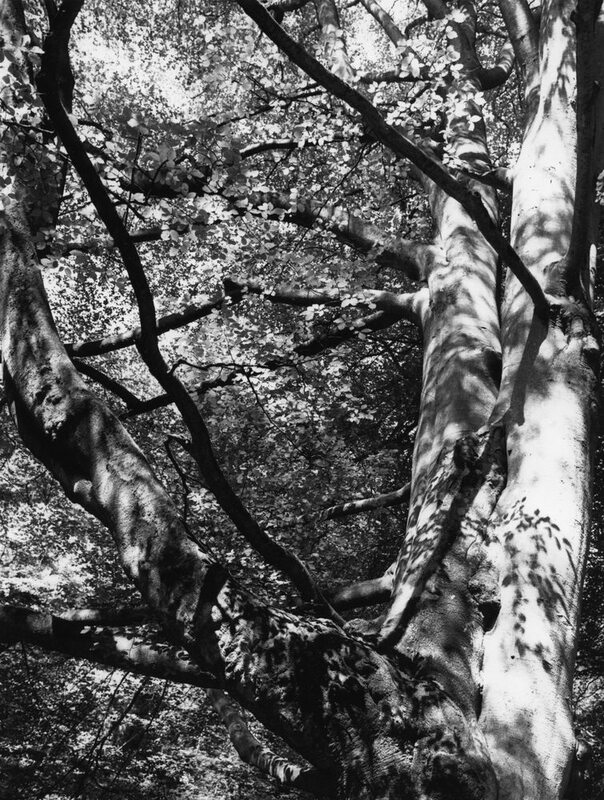 Six diptychs and one triptych: analog silver prints from analog negatives, 60 x 50 cm or 50 x 60 cm, drymounted on museum board; individual images, various sizes. • 1990 Limerick City Gallery, Limerick, Ireland.